From Diet, to homeopathy, to cannabis to medicines. Let's get into the details! Everyday, I am going to get into the details of every aspect of our bodies' balance system- right from Diet, yog, pranayam, meditation, herbal medicines, to allopathic medicines. Please see - I am no Doctor, but I am a knowledge seeker. I want to know what's the best possible way to either avoid a disease or treat it (if you have got one). Simply join this course and be a part of my journey in understanding the nuances of body balance. Pay INR 1000/year and (a) be a part of the health enthusiastic group and (b) be on chat with me! 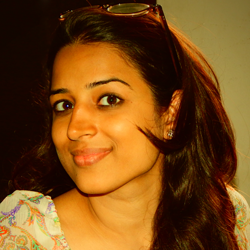 Swati Choudhary is the Director Marketing for Questome Learnings Pvt. Ltd. She has also worked with ICICI as a wealth manager. Her core expertise is in sales. She is well versed with many software suites including the Adobe Creative Suite and the Microsoft Office products. She enjoys learning together and is a big proponent of studying with friends. She is a travel buff and has covered many cities in India. She hates her own accent, but says that she can't help it and we just have to live with it. Swati is a go-getter and a self-taught person in many respects. She knows how to slowly cover all the bases and master any particular field. It is her pertinence and strong will that we think will make her an invaluable instructor. Alkalizing your body - Should you! Organic Food - What's the fuss all about?! Should you believe in Herbal Treatments?